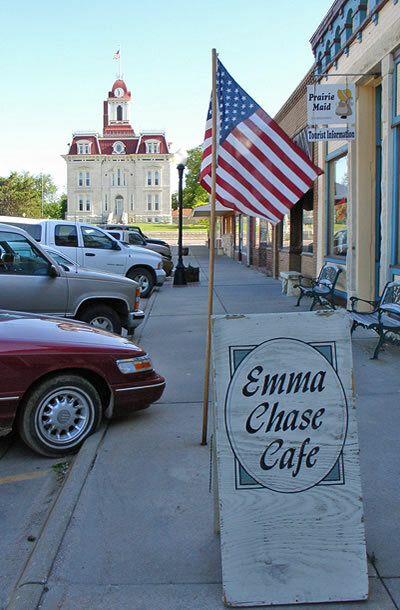 The Chase County Courthouse is a finalist for the 8 Wonders of Kansas because its striking French Renaissance (Second Empire) style and red mansard roof make it one of the most recognizable buildings in Kansas! 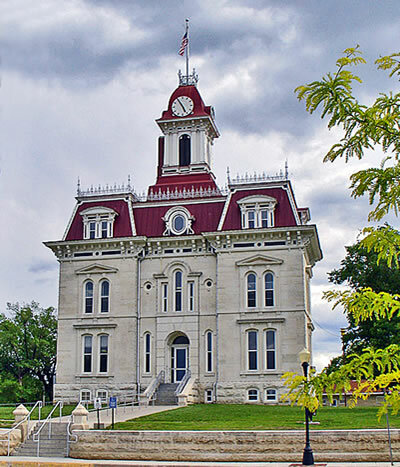 Completed in 1873, it's the oldest county courthouse still in use in Kansas and the second oldest in continuous use west of the Mississippi River. The courthouse was designed by noted Kansas architect John G. Haskell of Lawrence. Born in Vermont, Haskell came to Kansas in 1857 at the age of 25 and soon rose to prominence as one of the leading architects of Kansas. He was the first architect of the Kansas statehouse and designed many other important early Kansas buildings. The French Renaissance (Second Empire) style is characterized by the distinctive shape of the roof. Standing 113-feet tall, you can see the courthouse and its red mansard roof from vantage points throughout the county on most days. Featured within this structure built of local limestone is a three-story spiral staircase made from walnut trees from the Cottonwood River. On the National Register of Historic Places, this icon of the Flint Hills has undergone a $2.4 million renovation and restoration. COME VISIT! Self-guided tours are available during normal business hours Monday-Friday 8 a.m.-5 p.m. 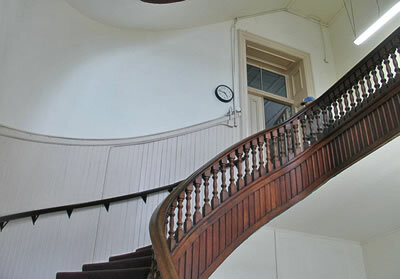 Guided tours available most weekends and holidays 12-4 p.m. Guided tours $4 adults. Children 12 and under free.